The following article was sent to the Transform blog for publication on behalf of the the freecasey.org campaign, which we have reproduced un-edited. 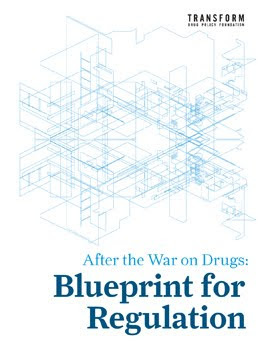 It raises a series of important issues about the interface between personal freedoms and heavy handed enforcement of the prohibition of some drugs, specifically the inconsistent and hypocritical ways in which government and law deal with the difficult questions this debate throws up. For certain individuals such as Casey Hardison, the failure of law makers to grapple with these issues has tragic consequences. Murderers and rapists are often getting sentences of under ten years, yet, in the shadow of an unprecedented overcrowding crisis Casey now faces his entire adult life behind bars at taxpayers expense. Drug Discrimination: An End to the War on Drugs? 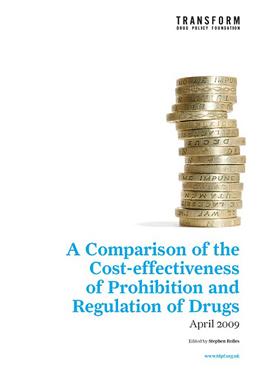 The Government will shortly commence the consultation for its post 2008 'New Drug Strategy', so it is perhaps timely to consider those who are suffering from the effects of the last 10-year strategy. British prisons are full of non-violent drug offenders – some of whom describe themselves as POWd's (Prisoners of the War on Drugs). The British Government now refrains from openly using the term 'war on drugs', but this lack of political rhetoric does not mask the very real casualties that continue to mount in this battle for the moral majority. On April 22nd 2005, a British court sentenced Casey Hardison to imprisonment for making MDMA and LSD. A forensic chemist from the Forensic Science Service described Hardison's DIY lab 'as the most complex he had ever encountered'. Hardison however has consistently argued that he is the victim of one of the biggest injustices of the 21 st century – despite openly admitting he made numerous illegal psychotropic drugs. The same week as Hardison received his 20-year sentence, Islamic extremist Kamel Bourgass, previously convicted of murdering a policeman, was sentenced to just 17 years for attempting to make deadly poisons to carry out terror attacks in the UK. In the light of these contrasting punishments, the Government may be wise during its consultation to consider the string of recent reports by Select Committees and respected independent think tanks on UK drug policy. Many of these reports heavily criticise the UK's 'ABC' drug classification system. According to the Government, a drug is labelled Class A, B or C to reflect it's harmfulness. Each Class of drug has corresponding levels of punishment associated with its possession or supply – up to life in prison for supplying Class A drugs. Experts however say the Government has failed to produce any evidence to justify why particular drugs are in a particular Class, asking for example; why did this Government classify magic mushrooms as a Class A drug alongside crack cocaine and heroin? Something that until July 2005 was available to buy legally in Covent Garden could suddenly earn the seller a lifetime behind bars. Those who have tried magic mushrooms find it hard to understand why such draconian measures were needed, except perhaps for the most Machiavellian of political reasons. Casey Hardison appealed against his 20-year sentence, defending himself on human rights grounds. He argued, among other things, that prohibiting certain drugs violated his right to equal treatment before the law. Why is it, he asked, that those who produce alcohol and tobacco get the Queen's Award for Enterprise, while those caught producing ecstasy and LSD are punished so harshly? Indeed respected academics recently published research in the Lancet, ranking each drug by harmfulness according to the evidence. The research shows that the drugs produced by Hardison rank far below both alcohol and tobacco. But the law is blind so they say. The Government itself, in it's response to a recent Select Committee report on drugs, admits that the harmfulness of a drug, to either individuals or society, is not the only factor in determining the criminal penalties linked to it. The Government also relies on 'historical and cultural precedents' (civil servant speak for 'good old fashioned majoritarian, media-driven prejudice') to decide how to treat those associated with a particular drug. To people like Hardison and others, who consider their drugs of choice to have been unfairly singled out, such distinctions matter. If those who use and supply certain drugs are treated differently on the basis of prejudice, as opposed to objective factual evidence, they are the victims of heinous discrimination. Hardison and his supporters believe that such 'drug discrimination' should be treated in much the same way as sexual or racial discrimination is today. They hope that the minority who currently use low-risk illegal drugs will one day have a legal right to be treated equally alongside the majority's comparatively more risky consumption of alcohol and tobacco. Hardison's use of a rights-based defence against a drug conviction is not as far fetched as it may first appear. Since 1993, Native Americans have been permitted by US legislation to ingest the powerfully hallucinogenic peyote cactus in their religious ceremonies. Similarly, last year the US Supreme Court granted the União do Vegetal, a New Mexico based religious group, the right to use certain illegal hallucinogenic drugs. The Court held that banning the use of the hallucinogenic tea, drunk by the group during worship to alter consciousness, would excessively infringe on their religious freedom. Protecting human rights and preventing the use and traffic of controlled drugs are both long-standing international policy goals. The global drug prohibition regime is built upon three international United Nations conventions to which almost all states have agreed. International human rights law is based on three even older UN treaties, signed up to by an almost equal number of nations. Could it be that these two giant cornerstones of international law have conflicting interests - one intent on protecting personal freedom and equality and the other on restricting it? Global drug prohibition is a fixed ideology based on the premise that all controlled drugs are an 'evil' for both the individual and society; therefore they must be prohibited - even at great cost. The number of lives lost and billions spent fighting drug wars that rage around the world, from Columbia to Afghanistan, are testimony to this cost and to the value that many politicians place on fighting this war. As George Orwell once wrote in '1984', his prophetic novel on social control, 'since no decisive victory is possible, it does not matter whether the war is going well or badly. All that is needed is that a state of war should exist…' Often, the so-called 'war on drugs' is a war waged against our friends, families and neighbours; as individual freedoms are sacrificed to ever-growing surveillance and ever-tougher laws. Still the war on drugs goes on, seemingly without end, as illegal drug production and use rises year after year. Why fight this war to begin with? Since the early 20th Century, misguided moral panics around drugs have been the driving force behind the creation of drug laws; spurred on by racial prejudice, ambitious bureaucrats involved in the prohibition enforcement regime, and films such as 'Reefer Madness'. Politicians knew they were onto a winner; as a political smokescreen, the 'war on drugs' is perhaps only surpassed by the 'war on terror'. Drugs, the insidious enemy within, can be conveniently blamed for a wide range of incurable social ills at home; from the break up of the family to rising crime rates. In an age of moral pluralism, those in power may be running short of moral values they can be seen to support, but tough anti-drug statements by politicians are as popular as ever. Modern democracies however, are not simply a dictatorship of the majority, leaving minorities to be sacrificed at the whim of every moral panic and media scare. In a modern democracy, laws made by our elected representatives are constrained by either a constitution or legislation such as the British Human Rights Act. Such human rights protection, inspired by centuries of struggle and the murder of millions during World War II, ensures that the few are not sacrificed for the 'good' of the many. Today, it is generally accepted that even murderous would-be terrorists like Kamel Bourgass are entitled to have their rights respected and to receive a fair trial. Unlike the rigid laws governing drug prohibition, human rights law evolves over time with new case law. Homosexuality, to give an example, was considered highly immoral and criminalized in many European countries at the time the European Convention on Human Rights was drafted. Half a century later, morality has changed enough to permit the Convention to be used to prevent discrimination against homosexuals and a range of other 'deviant' minorities. In much the same way, it is possible that human rights law could continue to evolve to eventually protect certain types of non-medical drug use currently deemed illegal. A number of legal cases have arisen in various countries questioning whether laws prohibiting non-medical drug use violate certain constitutional or human rights. In South Africa, for example, a Rastafarian law graduate was barred from continuing his legal career because of his religious use of cannabis ( Prince v President of the Law Society). The South African Supreme Court agreed with the argument that cannabis is genuinely used by Rastafarians in a religious context, but failed to grant the man the rights-based protection he sought. The court argued that allowing cannabis use for Rastafarians would be impractical when trying to enforce a complete ban on cannabis use for the rest of the country. In the UK, a similar case involving a Rastafarian (Taylor, R. v  EWCA Crim 2263 ) was struck down because, amongst other reasons, Britain has international treaty obligations to make cannabis illegal for all those within its jurisdiction. Such arguments were not however strong enough to defeat the religious group in the União do Vegetal case, recently decided in the US Supreme Court. Generally, governments must show that they have a very good reason, or 'compelling state interest', for violating a fundamental right such as freedom of religion or the right to equality before the law. In the União do Vegetal case, the Government was unable to prove that allowing the group to drink their hallucinogenic tea would result in any significant harm. Conversely, the group was able to prove that banning their consciousness-altering tea parties was a severe restriction of their religious freedom. The Federal Court Judge in the case rightly concluded that if there is 'a proven interest of high order on one side, and mere uncertainty, or 'equipoise', on the other, the balance of equities is plainly in the plaintiff's favour.' The Government therefore had no legal justification to prevent the groups' drug use. The Bush administration was concerned by the outcome of the União do Vegetal case; for if this logic can be applied to one drug in one circumstance, it may also be applied to others. To those hard-line opponents of non-medical drug use, this could be viewed as a slippery slope towards liberalization of the drug laws. To those who are in favour of drug policy reform, it is a welcome step towards evidence-based policy making and the protection of individual liberty. Why is it important to base drug policy reform on the moral values enshrined in human rights law, as opposed to merely presenting factual information about the ineffectiveness of drug prohibition? The answer is that to many people, drug prohibition itself enshrines a set of moral values, such as the ideal that 'all drugs are bad' and 'sobriety is good'. To usurp international drug control conventions, that have been in place for almost a century and are tinged with moral assumptions about good and evil, takes more than an academic study or two. In other words, presenting an evidence base that seeks to undermine the assumed foundations of international drug prohibition will not, on its own, be enough to effect a profound change in drug policy. Moral, or 'normative' claims can only be effectively challenged by other moral claims. In this case, moral arguments based on international human rights law, supported by the growing evidence base against the effectiveness of global drug prohibition, are best suited to challenging the current orthodoxy. The media, the courts, politicians and non-governmental organisations can all play a role in shaping the protection human rights law can offer to individuals. Giving new meanings to established rights has never been an easy task, but rights discourse can act as a lens, focusing small shifts in public morality to burn through the most obstinate policy roadblocks. On May 25th 2006, Casey Hardison lost his final appeal. He now faces 20 years without freedom as a result of basing his defence on arguments he believed would allow greater freedom for everyone. Three years after Kamel Bourgass has been set free, Casey Hardison may still be in prison wondering what the right to freedom from discrimination actually means and why we as a society consider his crime so heinous. Its a stupidly long time in jail, but its still not as bad as the man caught selling 'research chemicals' in the US, he got 217 years in jail I believe. It is as bad as the same oppressive principle is operating, ruining peoples lives, stealing our freedom. Anyone reading Casey's materials can see that he is extremely capable and trying to engage the system in their own terms. His arguments were so well drafted and cost the taxpayer nothing. I can think of many QC's who would have charged a fortune for this legal work and it wouldn't be as good as Casey's. Its a bloomin disgrace that the House of Lords and the ECHR wouldn't even consider these awesome appeals. I guess a the end of the day, they are not really interested in rights at all and cannot confront the reality of Casey's words. I hope he gets somewhere with the Judicial Review but I would guess that this is also a long-shot in this culture. We need everyone out pof prison for these drugs offences, as they should not be offences at all. What this guy is doing is probably the most important fight for civil liberties of the past few decades in the UK. The logic of his arguments cannot be faulted, a time will come when we will all look back and see how the emperor is wearing no clothes, but at the moment the authorities seem to be burying their heads in the sand pursuing a costly war which has already been lost. It's a bit like Galileo telling the Church that the earth is not the center of the universe. The only difference is that this Pharmacratic Inquisition is not making this man renounce his beliefs. Good luck Casey, there are a lot of people behind you. In the not too distant future history will prove you right. The unjsut imprisonment of Casey Hardison by the fascist British authorities makes me ashamed to be British. History will judge Casey well, unlike the War Criminals in the British Government who continue to waste tax-payers money by refusing to end the failed policies of prohibition of drugs.